At Dr. Greenhalgh’s office, we care for more than just your teeth and gums. If you tend to feel anxious when you visit a dentist, please know that we understand these fears and have over 20 years of success helping people feel comfortable in our dental office. Dr. Greenhalgh will listen to your concerns and spend time with you to understand what has made you anxious. Then he will take steps to help you feel calm and confident. We offer a variety of sedation dentistry options to help you feel relaxed and comfortable throughout your treatment. Sedation dentistry has enabled many of our patients to get over their dental anxiety, and it may be the ideal solution for you too. We understand that if you suffer from dental anxiety you probably have questions about sedation dentistry. Dr. Greenhalgh is happy to answer those questions, address your concerns and provide you with all of the information you need. 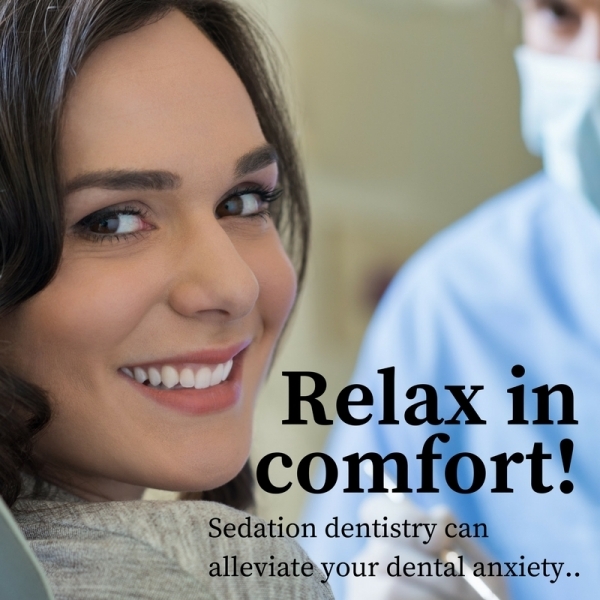 If you live in the Denver, Colorado area, sedation dentistry might be able to help alleviate your dental anxiety. For more information, please call Dr. Scott Greenhalgh today at 303-988-9060. We have found that your worries or fears are not abnormal. Many people have fear that keeps them away from dental care. We will listen to your concerns and we’ll create options to ensure your dental treatments are provided in a comfortable environment. 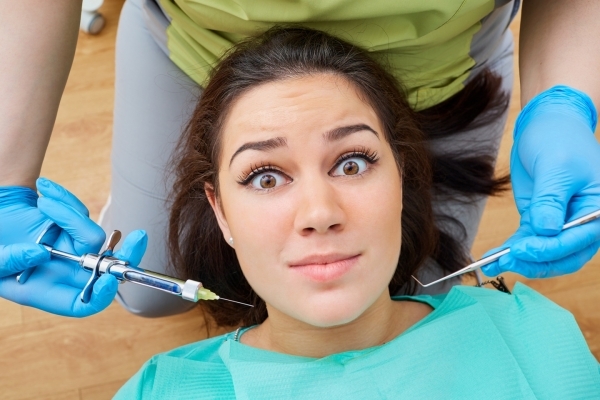 Often, severe dental anxiety causes people to avoid going to the dentist. However, it's never in your best interests to postpone dental visits. In order to maintain optimal levels of oral health, it's crucial that you visit the dentist twice a year for regularly scheduled checkups, examinations and professional cleanings. During these appointments, Dr. Greenhalgh will evaluate the health of your teeth and gums in order to identify any problems in their earliest stages. By treating dental issues right away, you can avoid more extensive, costly and painful procedures down the road. In addition, professional dental cleanings are essential to remove the buildup of plaque and tartar that occurs over time. Plaque is a sticky film that continuously forms on your teeth. When plaque is left on your teeth for extended periods of time, it hardens into tartar which cannot be removed with brushing or flossing. Eventually, this tartar can lead to the development of gum disease. Sedation dentistry is a safe and effective service that enables you to be more relaxed during your treatment. Dr. Greenhalgh will administer a sedative medication that will place you in a relaxed state for the duration of your procedure. During your initial visit, we'll listen carefully to your concerns and fears in order to recommend the ideal sedation dentistry solution for your unique individual needs. To learn more about sedation dentistry, read our blog! It's important that you are completely transparent about your medical history, including any anesthesia allergies you might have. These allergies may not rule you out as a candidate; however, they may cause Dr. Greenhalgh to recommend a sedation option that won't be impacted by these allergies. Since sedation dentistry is best practiced when you are in sound physical health, you should also be honest about any illnesses you might be suffering. Dr. Greenhalgh may recommend delaying your procedure for a few weeks so that you can recover from your illness before undergoing dental sedation. In some cases, patients with ailments such as Parkinson’s disease that prevent them from controlling their bodies can benefit from sedation dentistry. Dr. Greenhalgh will discuss your sedation options with you and help you decide if it’s an appropriate course of action. Nitrous oxide gas is administered through a soft mask. It works quickly, placing you in a calm, relaxed state almost instantly. 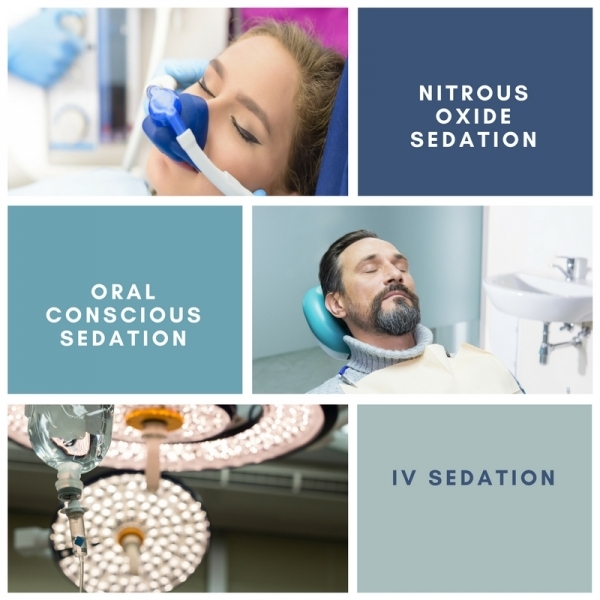 Dr. Greenhalgh can adjust the amount of nitrous oxide gas coming through the mask in order to ensure you receive the proper level of sedation. The effects of nitrous oxide wear off within minutes after we stop administering the gas, ensuring that there will be no lingering haziness. You will be able to drive yourself home immediately following your treatment. Oral conscious sedation involves the use of an oral sedative taken right before your procedure. This sedative places you in a relaxed, dream-like state, but you remain conscious and communicative. In most instances, you won't have any recollection of your treatment. You'll emerge from the dental chair feeling relaxed and refreshed. There may be some lingering effects from oral conscious sedation, so you'll need to arrange for someone to drive you home. A fully trained and certified anesthesiologist will administer an IV anesthetic. You will not be fully unconscious the way you would after general anesthesia before surgery. Instead, you will be able to move your head and open your mouth in response to Dr. Greenhalgh's instructions. Our anesthesiologist will monitor your vital signs throughout the procedure to ensure optimal levels of safety. When your procedure is finished, the anesthesiologist will determine when you are awake and alert enough to go home. It's important to arrange for someone to drive you to and from your dental appointment since there will be lingering effects from the IV anesthesia. Dr. Greenhalgh is committed to ensuring that your experience with us is pleasant and relaxed. We try to make our entire office a relaxing place, and our staff will treat you with the utmost respect throughout your treatment. If you do feel uncomfortable or tense, we encourage you to let us know so that we can help alleviate any anxiety you may be experiencing. For more information on your comfort, please see Our Amenities. Please contact Dr. Scott Greenhalgh using the form on this page or call 303-988-9060 today to schedule an appointment. We serve patients in Lakewood and throughout the Denver metropolitan area.